A true compendium of recent scholarship, the volume includes over 100 articles covering all aspects of Isaiah, Jeremiah, Ezekiel, the twelve "minor prophets" and Daniel. 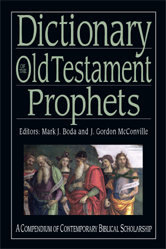 EXTRA -CANONICAL BOOKS OF PROPHETS. SEPTUAGINT OF BOOK OF THE TWELVE.